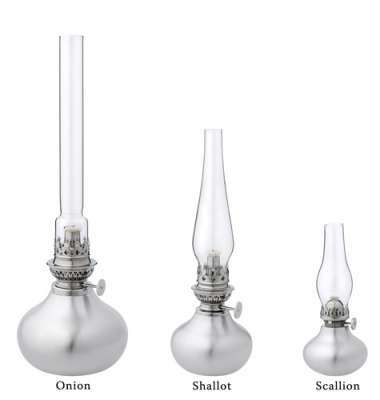 The smallest member of the Onion family, Danforth Pewter's petite Scallion Oil Lamp is irresistible. The burner allows a candle-like flame to shed a soft light from this little lamp. Comes in a gift box with instructions and care card. Holds 3 ounces and is 6.5" high with chimney.